Danielle Clealand will give the first Mark Sawyer lecture. 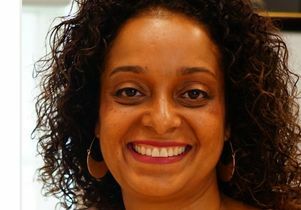 Political scientist Danielle Clealand will present her new book, “The Power of Race In Cuba: Racial Ideology & Black Consciousness During the Revolution,” at UCLA’s inaugural Mark Q. Sawyer Memorial Lecture in Racial and Ethnic Politics. The lecture will take place at noon, Thursday, Jan. 10 in Haines Hall. Named in honor of Sawyer, a UCLA professor of African American studies and political science who died in 2017, the Mark Q. Sawyer Memorial Lecture highlights the research of an advanced assistant or associate professor whose research focuses on racial and ethnic politics in the United States and internationally. Clealand, assistant professor of politics and international relations at Florida International University, has been recognized with the 2018 Best Book Award for the race, ethnicity and politics section of the American Political Science Association. Sawyer published widely on race, ethnicity, politics, gender, immigration and coalition politics in Puerto Rico, the Dominican Republic and the United States, such as his first book, “Racial Politics in Post-Revolutionary Cuba.” In 2006, he co-founded the field of race, ethnicity and politics in the department of political science and served as founding director of the Center for the Study of Race, Ethnicity and Politics. As chair of the inter-departmental program in African American studies from 2011 to 2013, Sawyer drafted and shepherded the application that ultimately resulted in the establishment of the department of African American studies at UCLA. The Sawyer lecture is part of the political science department’s race, ethnicity, and politics workshop series and is co-sponsored by the Ralph J. Bunche Center for African American Studies with support from the Bunche Community Fund, the UCLA Department of African American Studies and the Chicano Studies Research Center. Lunch will be served at noon; lecture begins at 12:30 p.m. Click here to RSVP, which is required.